While research has found important links between religion and health, there is a gap in knowledge in sub-Saharan Africa. The purpose of this paper is to examine the relationship between religion and health in rural Malawi. 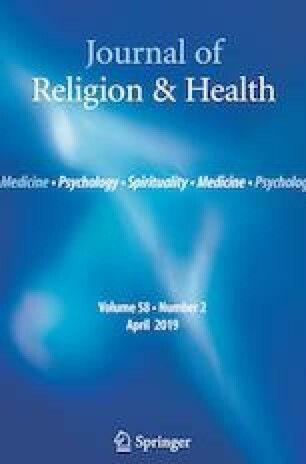 After controlling for baseline health, results show that: (1) the relationship differs between younger (15–44 years) and older (45 + years) adults; (2) among younger adults, Muslims are relatively less healthy, whereas Muslims are healthier in older age; (3) religious activities have a stronger relationship with health than do other measures, especially for women; and (4) religious activities have a relationship with health only for two or more activities. These findings suggest that religion is tied to health in Malawi, especially for older women. This paper was originally presented at the European Conference on African Studies in June 2017. Deaton, A. S. (2009). Aging, religion, and health. National Bureau of Economic Research, Inc. NBER Working papers: 15271. Retrieved from http://www.nber.org/papers/w15271.pdf. Hoddinott, J. (1992). Rotten kids or manipulative parents: Are children old age security in Western Kenya? Economic Development and Cultural Change, 40(3), 545–565. http://www.journals.uchicago.edu/EDCC/home.html.